Het spel wordt op de markt gebracht in zowel een blauwe als een rode versie van de speeldoos. De inhoud van beide versies is gelijk. Dit is de rode Engelstalige editie. Inhoud: 1 speelbord, 1 groot bord met wereldsteden en hun actuele situaties, 5 rollenkaarten, 4 pionnen, 6 onderzoekstations, markers, 96 ziekte markers, 48 infectiekaarten, 61 spelerskaarten, 4 referentiekaarten en spelregels. 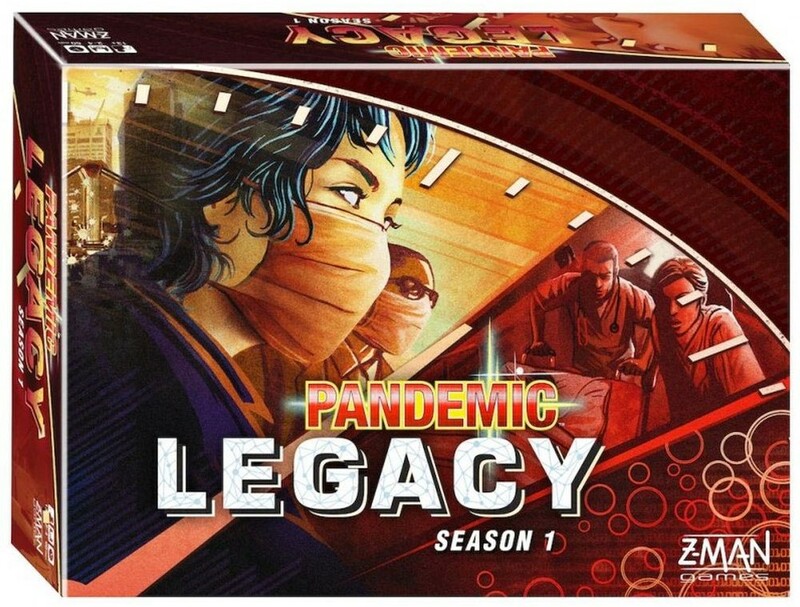 If you liked Pandemic, this game is amazing. Just think of those games where you technically eaked out a win but the board looks terrible and full of cubes... and then imagine that was going to spill over into your next game! No longer can you just ignore outbreaks in Santiago because there will be long term consequences! I would unquestionably recommend this to anyone who enjoyed the original game. If you've never played Pandemic but this sounds interesting then I would also recommend it! You can play a couple of games with the base rules first (the manual suggests this and I think it's a really good idea) before kicking off your legacy campaign and kicking everything into high gear. One of my favourite boardgame memories is our first evening playing this - a friend had been bought it as a gift, we'd never tried a co-op game before and we lost 3 straight games that evening but every time, the immediate reaction was "let's play again! I'm sure if we just...". It's been a staple of our games collection ever since.